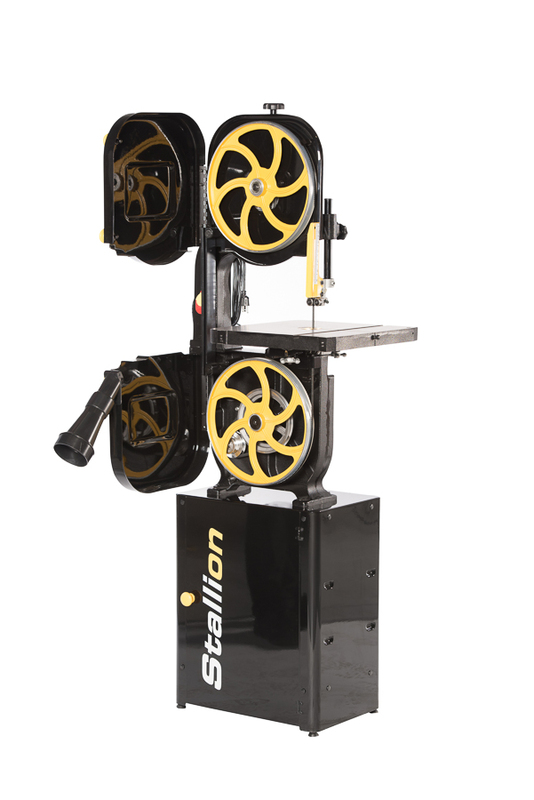 The Stallion CWI-B1406 14” Stallion band saw is a very strong performer for the woodworker looking for a good basic bandsaw. 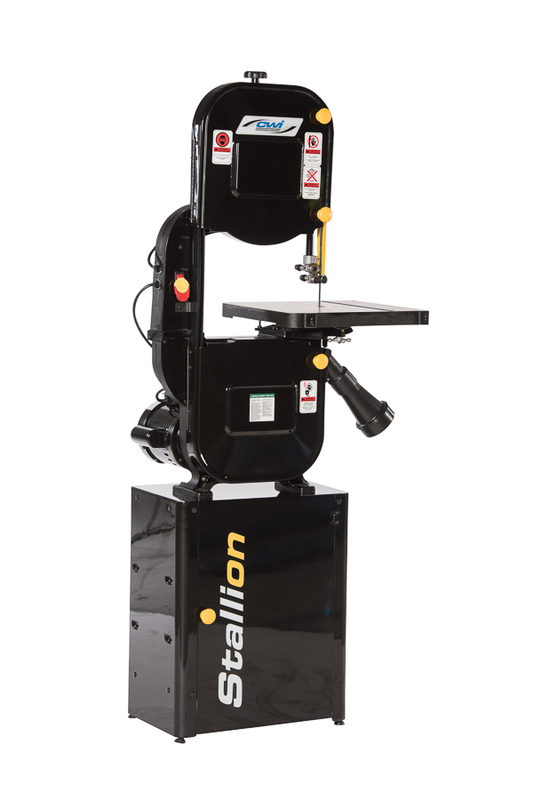 The CWI-B1406 is a traditional designed bandsaw with a cast iron frame mounted to a fully enclosed steel base with a large storage compartment. A 10 amp 1 HP motor with two cutting speeds and a simple toggle on/off switch is wired to run on 115 volt power. 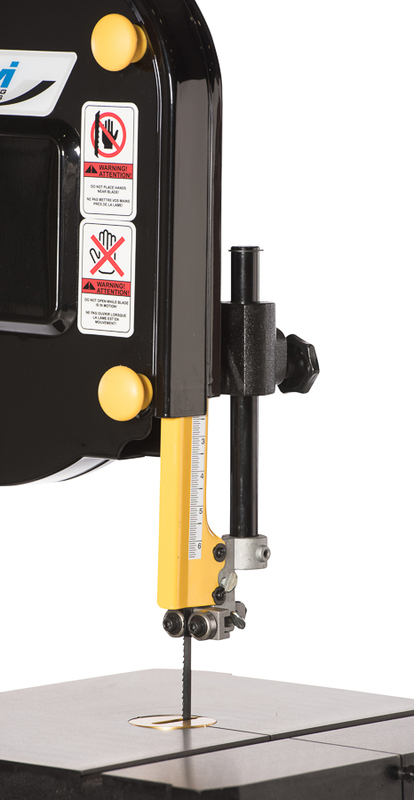 This saw features cast aluminum 14” wheels with replaceable rubber tires, 16” x 16” cast iron table with 3/8” x 5/8” miter guide slot, hinged access doors, easy adjust blade tension mechanism and a 6” Resaw capacity under the ball bearing blade guides. Dust collection on the Stallion band saw is accomplished with a 2.5” dust inlet but includes a 4” adaptor just below the lower blade guides for use with either a shop vac or dust collector.